In case you’re not familiar with Unitek College, we are an accredited, private institution that offers various healthcare programs. These programs include Medical Assisting, Vocational Nursing, and Medical Office Administration, just to name a few! While some of our programs have computer-based components, they also utilize hands-on exercises and training simulations. Today, we’re taking a closer look at our Concord Campus and the Medical Assisting program. Students at the Concord Campus travel to the Metroplex Office Centre at 1401 Willow Pass Road in Concord, California. The campus spans two floors and covers about 24,000 square feet of space. For those of you that are wondering, that’s about half an acre or approximately three mansions! This renovated site includes clinical teaching wards and several lab rooms. 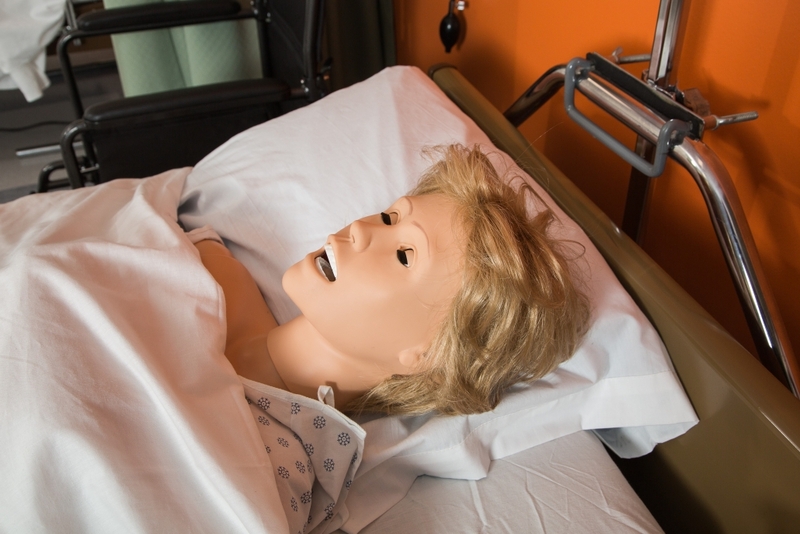 Additionally, Concord instructors utilize medical simulation mannequins to better educate their students. At our Concord Campus, we prepare students for their chosen careers. 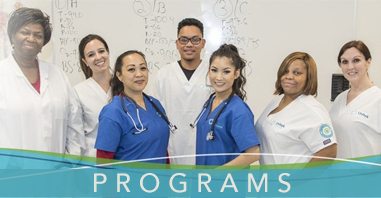 The Medical Assistant program provides students with the knowledge, skillset, and support they’ll need to succeed in the field. Not only are the Medical Assistant courses comprehensive, but they include both clinical and administrative training. You may be asking yourself, how long is Medical Assistant training? At Unitek, you can complete your Medical Assistant training in as little as 9 months. Earlier, we touched on Unitek’s dynamic approach to education. In the MA program, students receive a combination of expert instruction, simulation training, and 160 hours of real-world experience with a supervised externship. The courses also place an emphasis on key attributes in the workplace, including teamwork, communication, and professional behavior. 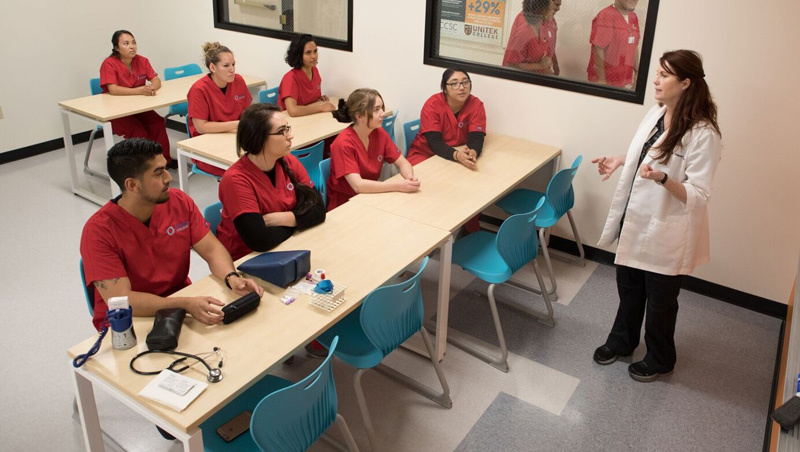 When it comes to the lab environment, laboratories designated for the Medical Assistant program are fully equipped to simulate an office and clinic setting. We’re including some specific names for our lab equipment here, but don’t let that intimidate you—what seems daunting now can become second nature. Our MA lab equipment includes the following: microhematocrit centrifuge, blood and urine centrifuge, pulse oximeter, electrocardiogram machine, glucose meters, sphygmomanometers (B/P) cuffs, patient height and weight scale, infant height and weight scale, autoclave machine, and a hemoglobin meter. The primary goal of our MA program is to prepare graduates for entry-level employment as Medical Assistants. Successful graduates will be capable of performing various administrative functions, such as answering telephones, scheduling appointments, greeting patients, updating patient charts, restocking supplies, handling billing-related tasks, and arranging for hospital admission and laboratory services. Graduates will be prepared to complete clinical duties as well. For example, they can relay prescriptions to a pharmacy, collect and prepare laboratory specimens, sterilize medical instruments, prepare patients for x-rays, take electrocardiograms, remove sutures, and change bandages. 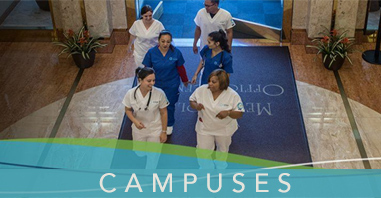 Whether your interest lies in nursing or Medical Assisting, our Concord Campus maintains several educational programs. As Benjamin Franklin once said, “An investment in knowledge always pays the best interest.” Education can truly be a powerful building block for your future. It’s a considerable agent of change, and it has the potential to open so many doors. Without a doubt, Medical Assistants play a vital role in healthcare. Completing our Medical Assisting program is a great step toward gaining employment and changing your future. If you’re looking for Medical Assistant schools, we hope you’ll consider Unitek College and all we have to offer. Invest in your future with Unitek College! For more information about the MA program and our Concord Campus, please contact us toll free at 888-919-4220.